CMRL has signed an agreement with JICA to get Rs 20,196 crore, which is nearly 50% of the total Rs 40,941 crore. 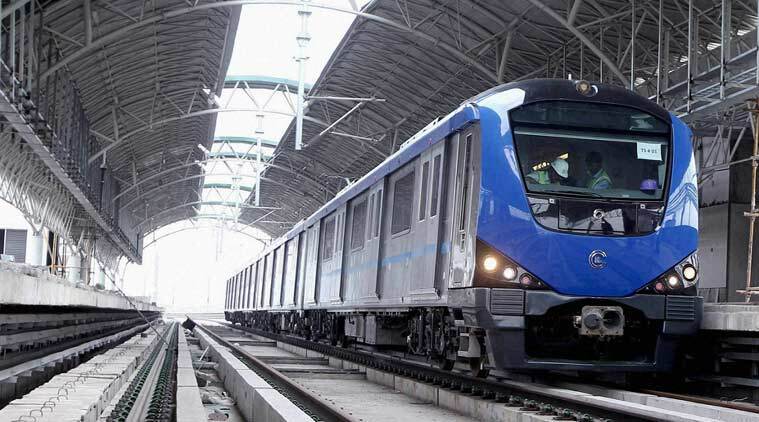 Chennai, Metro Rail News: The Chennai Metro Rail Limited (CMRL) is likely to begin construction for the remaining 66.8km part of the total 118.9km Phase-2 corridor by mid-2020, with talks on for funding from international banks. Construction for the 52.01km priority corridor will be taken up first, and is expected to begin by the end of 2019. According to Chennai metro official, soil tests are being conducted in several localities in the 66.8 km stretch, including Lighthouse, T Nagar and Poonamallee. It is likely to be completed by end of this year. Official Said “We have floated tenders in small packages for soil tests. The test reports will help us float construction tenders faster”. Tenders for the construction of 52.01 km priority corridor will be floated in June 2019. The 118.9-km phase-2 has been planned with three corridors will have 128 stations and to be built at an estimated cost of Rs 69,000 crore. The remaining 66.8 km section of phase 2 will have 71 stations. It will cover Sholinganallur to Siruseri Sipcot, along with the OMR, covering around 10km, and a 26.1km line from Lighthouse to Poonamallee linking several localities, including core areas like Mylapore, T Nagar, Kodambakkam and Vadapalani. It will also link Porur, Karayanchavadi, Iyyapanthangal and Poonamallee, which are poorly connected by public transportation. The third 30.7km stretch is from CMBT to Sholinganallur, linking the western fringes of the city. The CMRL has been in talks with four international banks – World Bank, Asia Development Bank, New Development Bank and European Investment Bank – to get loans for the construction of the 66km corridor. The construction cost is estimated to be around Rs 28,000 crore, which would come as loans from banks and funding from the state and the central governments. For the construction of the 52.01 km priority corridor, In December 2019, the CMRL has signed an agreement with JICA to get Rs 20,196 crore, which is nearly 50% of the total Rs. 40,941 crore. JICA also sanctioned the first tranche of Rs 4,760.67 crore. The 52.01km priority corridor comprises 57 stations from CMBT to Madhavaram and Madhavaram to Sholinganallur.